I love to buy Pringles potato chips in their handy little storage cans. They store so nicely in the cupboard! However, when they are empty, it almost seems a shame to just throw the cans away. Well, there is no need to do that! 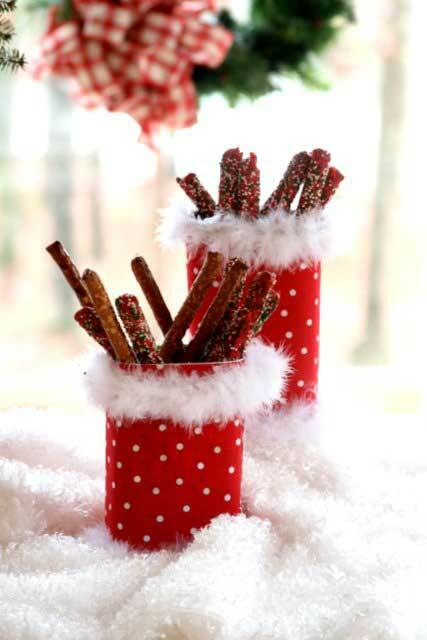 These Pringles can crafts offer inspiring ideas for holiday decor. I have re-used the cans to store other items in my craft room, like long paint brushes or floral picks. But, there are several fun things that you can do with these cans that are perfect for decorating or gift giving during the holidays. There are so many fun ways that you can decorate a can simply to hold treats for gift giving but there are also some unique decorating ideas that you can try. 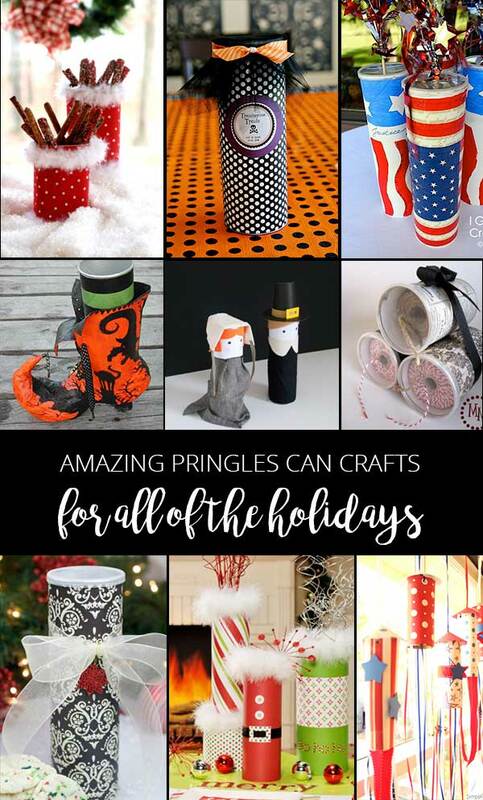 After searching for some festive ideas, I came up with a list of favorite Pringle can crafts for each holiday to share with you. Find ideas for Halloween, patriotic holidays, and Christmas. Halloween crafts always are fun to make. Between treats, decorations and costumes, there are plenty of reasons to create something yourself. 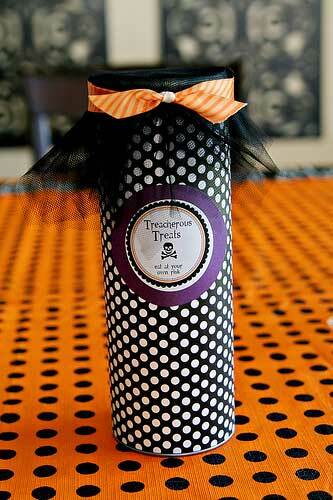 Here is a fun treat can idea which can also be used for “Booing” neighbors. We do this in our neighborhood. You put a treat in a container and leave it on a selected neighbors porch with a note to keep the treat, put a ghost picture on your door and return the favor to someone else who hasn’t previously been “booed”. 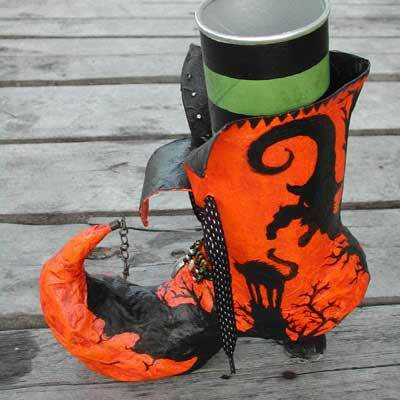 Why not make a witches leg to stuff into a paper mache boot? A Pringles can works perfectly when painted like a pair of striped stockings! And, the paper mache boot was also made inexpensively using a cereal box! It’s easy to customize a holiday vase using Pringles cans. 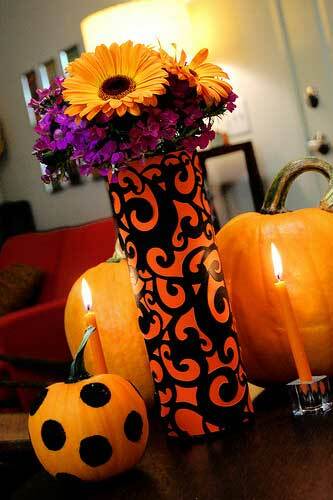 This vase craft is a fun Halloween accessory for the home. Pringle cans work great for constructing a Halloween costume accessory. 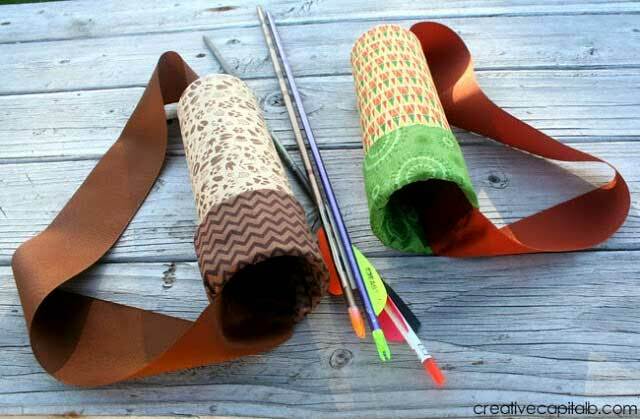 These decorative quivers are easy to make from the cans and they require no sewing. You could also make one of these using red or pink heart fabric for holding cupids arrows on Valentines Day. Thanksgiving decor usually amounts to table decorations. Any of the Pringles decorative vases for other holidays can be switched up to fit with your holiday table. 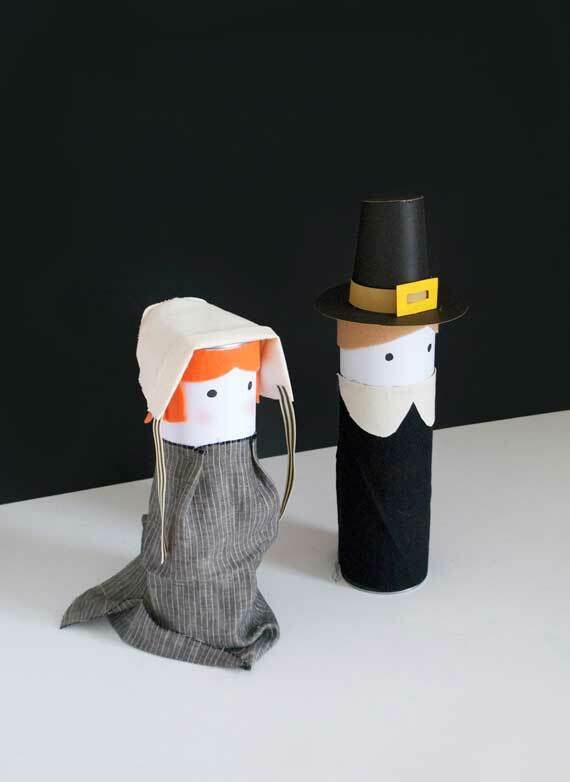 These primitive looking Thanksgiving decorations would be so cute setting out for your dinner guests to see. Christmas is all about decorating and gift giving. Cookie containers are the most popular item to make with Pringles cans. However, there are plenty of other decorative uses for Christmas as well. The cylinder shape of a Pringles can makes it perfect for holding Christmas cookies. This is such an economical way to package and give a nice holiday treat. Pringles cans are the perfect size for holding twine. 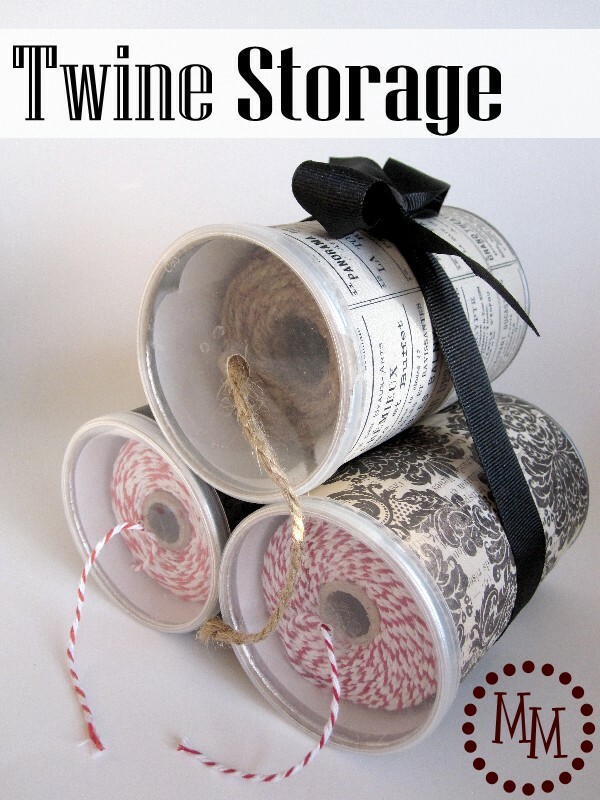 Just decorate the cans and punch a hole in the lid to feed the twine through. Coming up with decorative ways to display your snacks at a party can get expensive. 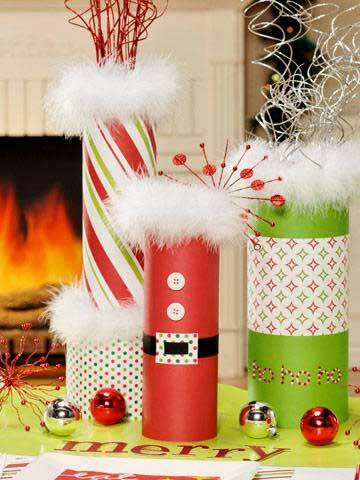 However, decorating cans is a perfect way to get affordable holiday decor. Decorate a holiday table with fun and festive vase centerpieces. 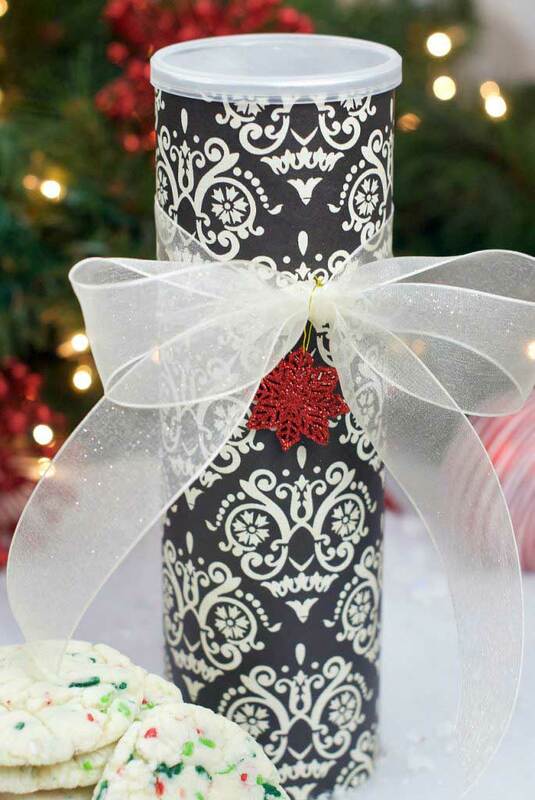 To make with a Pringles can, use decorative paper and festive embellishments to decorate the vases. Then just fill with your favorite Christmas picks. With outdoor barbecues being popular for the patriotic holidays, you will find ways to decorate for a festive outdoor party. 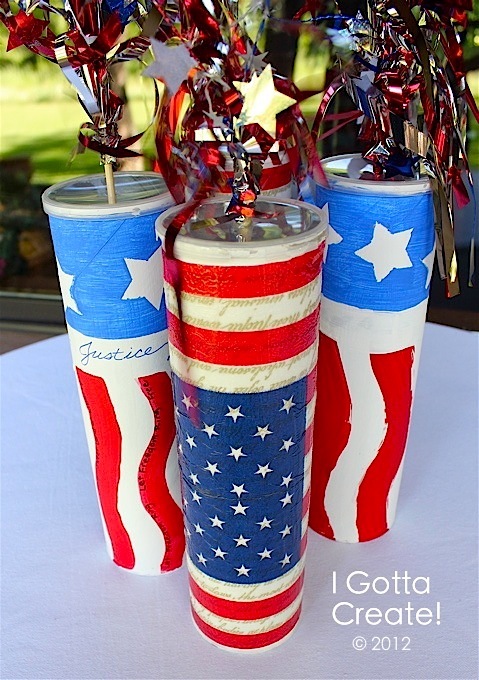 These Pringles can firecrackers make a great decoration for the 4th of July. The best part is that they can be more than just a decoration. Use them to hold straws or sparklers at an outdoor barbecue. 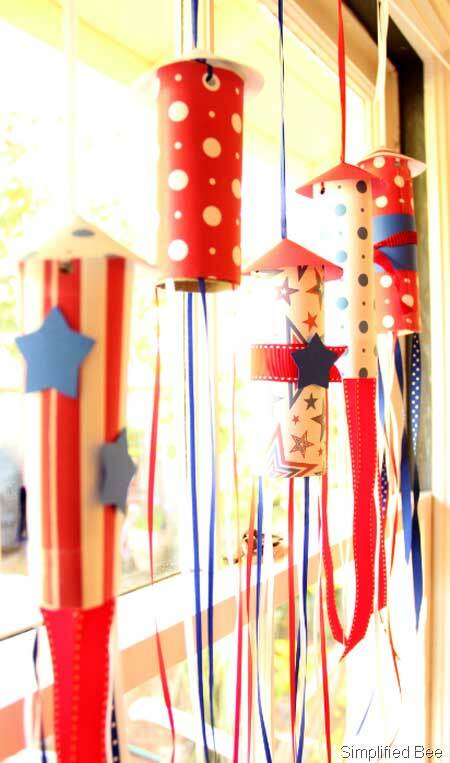 Another decorative idea for patriotic holidays is to make rocket garland out of Pringles cans. If you don’t want to use these rockets for garland, try placing one on a garden stack for some festive outdoor decor. This post is perfectly timed for me– thanks! I just saved a Pringles container today to use as a shipping case for cookies that I send to my grandmother. I saw your post through google + and loved these ideas too. That is a great idea to use a can for shipping cookies! I’m going to use that one for sending cookies to my daughter :). I’m glad you liked the ideas and thanks for stopping by! just a ..note to thank you for sharing all of your wonderful ideas with us.. love the Pringle can ideas..